Regardless of where you are in life, it’s always nice to make some extra money. And that is especially true in retirement. But, how to make money in retirement when your supposed to be simply enjoying the easy life? The retirement gigs listed below won’t be quite enough to cover retirement expenses, but they won’t take up too much of your time, either. And, some options might even be fun! You know what’s even better than making money? Not having to leave the couch to do it! Fire up your computer or smartphone for these three ways to make money from your living room. Websites called survey sites will pay you for your opinions. You won’t make a ton of money, but joining these websites is an easy way to earn extra cash. Here’s how it works: Sign up for a survey site and put in some information, and then you’ll get emails with survey opportunities that fit your demographic. For most survey sites, you can cash out using PayPal or redeem what you’ve earned via gift cards to major retailers. A few of our favorite survey websites include Inbox Dollars, Pinecone Research and VIP Voice. There’s an online database that helps people find unclaimed money from a variety of sources, such as retirement accounts you may have forgotten about, old security deposits or shares of stock in your name. Get step by step instructions for finding lost or forgotten money. Get paid to watch videos on Swagbucks, a rewards program website that gives users gift cards and cash for performing certain tasks online. By watching videos you’ll earn points, called Swagbucks, which can be cashed out through PayPal or redeemed for gift cards to places like Amazon. If you don’t feel like watching videos, you can also earn Swagbucks for taking surveys, shopping through their online portal or even playing online games. Making money while shopping — sounds like the dream, right? The good news is it’s actually possible! Here’s how. Ibotta is a cash-back app anyone with a smartphone can download. Before you go shopping at any of Ibotta’s participating stores (which include Walmart, Kroger and Publix), open Ibotta and add “offers” for any items on your grocery list. These offers can be anything from $1 cash back for buying a frozen pizza to $3 cash back for buying multivitamins. Go shopping as you normally would and when you get home, scan that week’s item barcodes and take a photo of your receipt with the Ibotta app. It will match what you purchased to the offers you selected and deposit the cash-back offers into your Ibotta account. Wondering how much money you could really earn from this app? One of my coworkers earned $233 after using Ibotta for a few years! Dosh is another cash-back app, but it goes beyond grocery shopping. This app gives you cash back for shopping at local businesses, booking hotels through its app and even dining out at places like Olive Garden. Do you love shopping online? If the answer is yes, you should be shopping through Ebates, where you could earn up to 40% cash back! Ebates is an online shopping portal that rewards customers for shopping with its partnered retailers. For example, right now you could earn up to 3% cash back for shopping on Amazon. It might not be a ton of money, but if you’re shopping online anyway you might as well earn some money back. Retirement is a great time to pare down your belongings. Instead of letting old clothes and untouched DVDs sit around, turn them into piles of cash! Letgo is a local marketplace app where you can sell just about anything. If you have clothes, purses, shoes or any household items taking up space, list them for sale on Letgo. Listing items is as easy as taking a photo and posting it to the app. Letgo is based on your location, so you only deal with local buyers. No — this doesn’t mean you have to invite strangers to your house. Instead, bring your items to a public location, like a local coffee shop or library. Whenever I’ve sold items to local buyers, I either meet them at a coffee shop or the parking lot of a large retail store, where there are lots of people walking around. To be extra safe, you can also bring someone with you. If you have old books, DVDs or electronics sitting around collecting dust, download the app Decluttr and make money for getting rid of them. Once you download Decluttr, scan the barcode of any item mentioned above. Decluttr will tell you how much they’ll pay you for it. After scanning everything you want to get rid of, you can cash out and Decluttr will provide you with a shipping label. All you have to do is print out the shipping label, pack up your items in a box and drop it off at a UPS store. After Decluttr receives your items, you’ll be paid on the next business day. You can choose to be paid via direct deposit or a physical check. How to make money in retirement? You just might have what the following services need! Join an online mock jury and get paid to help lawyers prepare for real cases. You can earn anywhere from $10 to $60 for about an hour of your time. OnlineVerdict is one site that connects online mock jurors with legal professionals to give them feedback on cases. Sign up with your information, including where you live, and you’ll get an email when a case is available for review. Companies want to know how customers use their websites. That’s where you come in. Websites like UserTest and UserFeel pay users, like you, to click around on websites and report back on them. Pay is around $10 per website tested, but it should be easy to knock out a few in one day. Do you enjoy typing? Earn $15-$25 per hour working as a freelance transcriptionist. Transcribe Anywhere offers a free mini-course to get you started. If you have experience in medical or legal fields, you could get paid extra for those assignments. If you have a knack for spelling and grammar, you could make a great freelance proofreader. Proofread Anywhere offers free intro workshops for general and transcript proofreading. For general proofreading, pay is up to $17 per hour. For transcript proofreading, you could earn a bit more. Instead of relying on retirement savings for every single purchase, use this additional income for smaller purchases. Reaching age 65 once meant collecting a final paycheck. But today, more Americans are trying to delay retirement — working well into the traditional retirement years, not because they have to, but because they want to. Find work doing something that you might do in retirement even if you weren’t getting paid. The extra income is a huge bonus. One advantage of being retirement age is that you have a lot of work experience. Depending on your field, you may find that you could be in huge demand as a consultant. This can be a great gig that lets you make your own hours and pick and choose work that interests you. 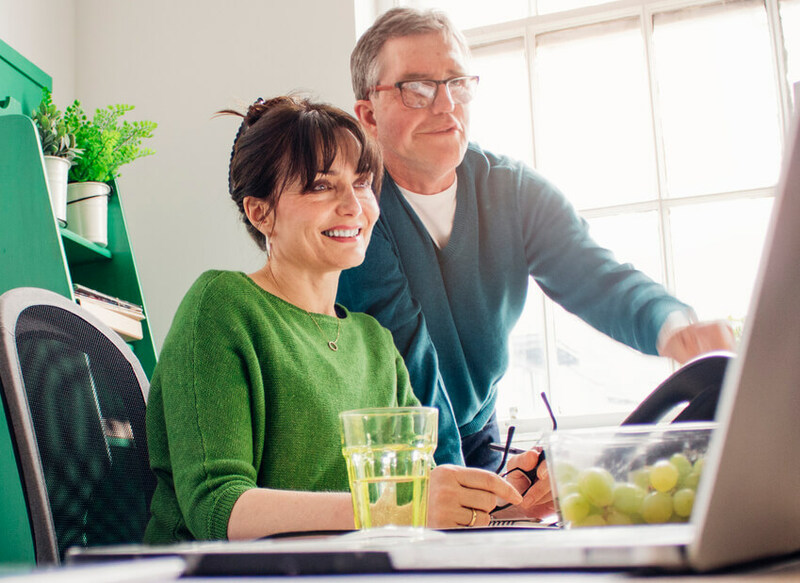 Explore 14 reasons why work after retirement is a great idea or find out which retirement jobs are the best. The Best Way to Make Money in Retirement? Have a Detailed Retirement Plan! Making extra money for retirement is a great idea. However, if you don’t already have a detailed written retirement plan, that is where you really should start. According to a Merrill Edge Report, 19 percent of mass affluent Americans — U.S. households with investable assets ranging from $50,000 to $250,000 — have no idea how much they need let alone how all of the financial pieces of retirement fit together. If these ideas don’t appeal to you, explore other ways to earn extra cash in your spare time.